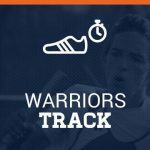 Coed Varsity Track · Mar 4 Coed Varsity Track finishes 3rd place at The Wolverine Invitational hosted by Woodstock High School. MEETING – PLEASE MARK YOUR CALENDARS – Thursday, Nov 16th in the Main Cafeteria at 6:30. If your child will be running track, old or new athletes, a parent must attend THIS meeting. 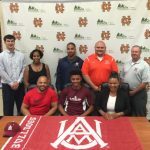 Gerald Mitchell announced his commitment to run track for Alabama A&M University this morning!